The American Farmland Trust is looking for the cream of the crop, the best of America’s farmers markets. Your recommendation can earn us national awards and recognition. What you put on your fork matters. That’s the message behind American Farmland Trust’s seventh annual Farmers Market Celebration. The Celebration encourages market customers, family farmers, community activists – anyone who believes they’ve got the best farmers market in the country – to endorse their market. American Farmland Trust will present awards to the most endorsed markets in four special areas, as well as the “People’s Choice” award at the end of the Celebration – September 21st. The “People’s Choice” award will be presented to markets who rally the most supporters, and we will showcase the top three most recommended farmers markets in every state. Markets that place in any of the above categories will receive a special online logo honoring their achievement that they may include on their website for ultimate bragging rights, No Farms No Food® gear, and recognition on the Celebration’s national website. 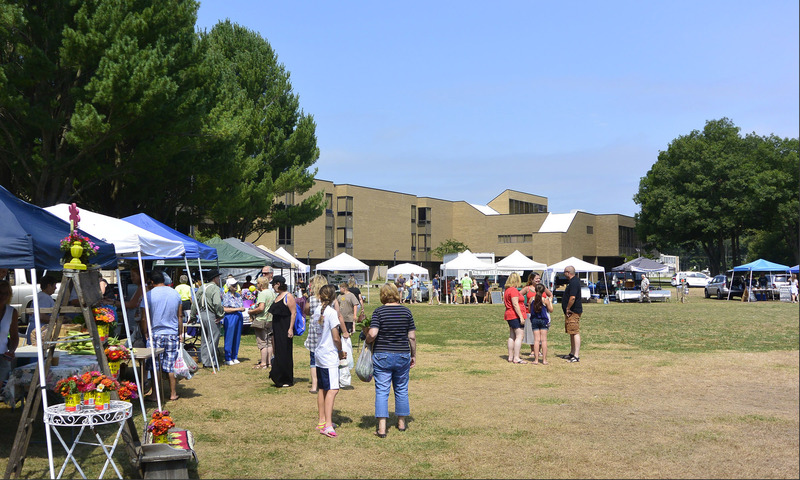 Endorse the Attleboro Farmers Market, you have until September 21 at midnight EST. While headquartered in Washington, D.C., the experienced staff in AFT’s six regional offices cover some of the most threatened farmland and watersheds in the country. Through our innovative policies and programs, AFT leads a national movement to protect the land, soil, water and farmers needed to sustain America.